ASCE Fellow Frederic Steven “Fred” Berger, P.E., F.ASCE, chair emeritus and board director of the global professional services firm Louis Berger Group, as well as an expert in the civil engineering field, died on April 23 in Washington, D.C. He was 67. Berger spent his career advancing globalization within the engineering and development fields, playing international leadership roles with ASCE, the American Council of Engineering Companies, and the International Engineering and Construction Industry Council. 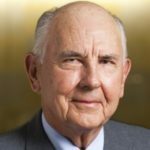 He was a vice-president of the American Council of Engineering Companies, where he led a delegation to Japan to open opportunities for U.S. firms to participate in the Japanese infrastructure expansion program. He also advised the U.S. Dept. of Commerce and the Export-Import Bank on trade issues. 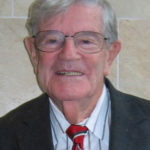 Berger served on several university boards, including Tufts University, the University of California, San Diego, and the International Advisory Council of the United States Institute of Peace. He was a founding trustee of the American University of Afghanistan, the only coeducational, independent, private university in Afghanistan. Berger earned a master’s degree in civil engineering from the Massachusetts Institute of Technology and a bachelor’s degree in economics from Tufts University. Berger is survived by his wife, Betty, and his adult children Sofia, Nathan, and Susana. In lieu of flowers, donations may be made in Berger’s honor to the American University of Afghanistan, at http://auaf.edu.af/giving/.